"Your fans love you, and we love them"
In today’s media-driven culture, athletes are expected to have an Internet presence befitting their career accomplishments and reflecting their unique personalities. 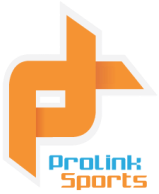 ProLink Sports realizes that both current and retired athletes are, in fact, household brand names, to which millions are loyal. We work with top industry talent to create individual websites that meet and exceed the needs of their fans, with interesting content about the athlete’s on-field endeavors and off-field pursuits. In addition to online outreach, professional athletes have a direct line of communication to their fans through their fan mail. A positive fan base can be built through appropriate and timely responses to the mail they receive.